Here are six undervalued stocks that could trade significantly higher if and when the corporate tax rate is reduced to 20%. "With the great vote on Cutting Taxes, this could be a big day for the Stock Market - and YOU!" As of mid-day Monday, it has been a big day for the stock market. The "phenomenal" tax plan that Trump has been touting since he took office includes a proposal to reduce the corporate tax rate from 35% to 20%. Not entirely surprisingly, the Dow Jones Industrial average jumped to 24,528 reaching a new all-time high on Monday. The S&P 500 also hit a record high. "The biggest beneficiary of a cut in the corporate tax rate are high tax companies and the simplest strategy is to be long them." 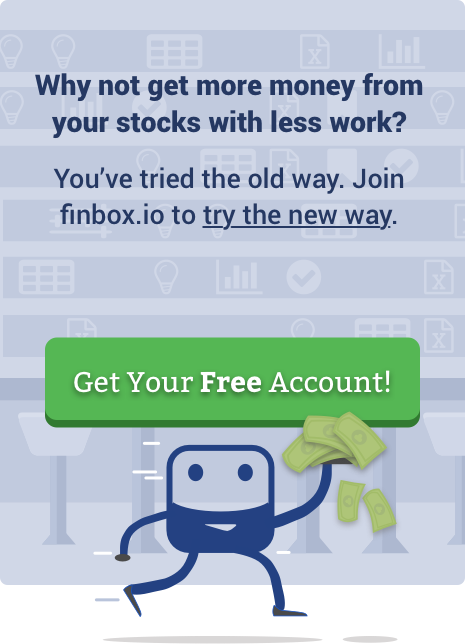 Chadha makes perfect sense so I used finbox.io's stock screener to help find these companies. 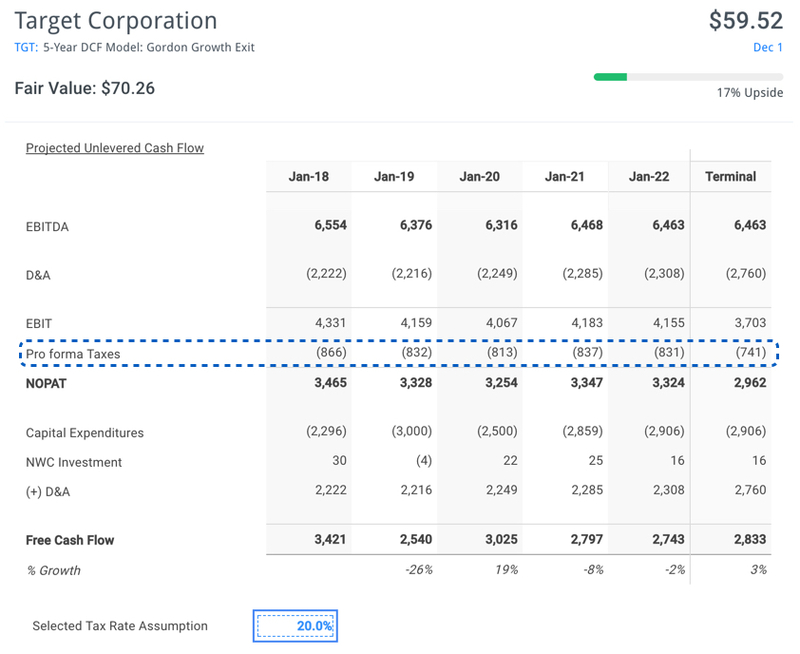 Applying finbox.io’s spreadsheet add-on, I filtered through the companies I found using our discounted cash flow (DCF) analyses to find which of them are trading below their intrinsic value when the tax rate assumption driving the model is reduced to 20%. Every other assumption driving the models were held constant. Note that the default revenue, EBITDA, CapEx, etc. projections for each company were Wall Street consensus estimates as of Friday, December 1st. I found that the following six stocks had the most upside when changing the tax rate assumption to 20%. Boston Beer Company, Inc. (NYSE: SAM) produces and sells alcohol beverages primarily in the United States. Its flagship beer is Samuel Adams Boston Lager. The company sells approximately 60 beers under the Sam Adams brands, 20 hard cider beverages under the Angry Orchard brand and 13 flavored malt beverages under the Twisted Tea brand. Over the past five years, Boston Beer has paid an effective tax rate of 37.1%. 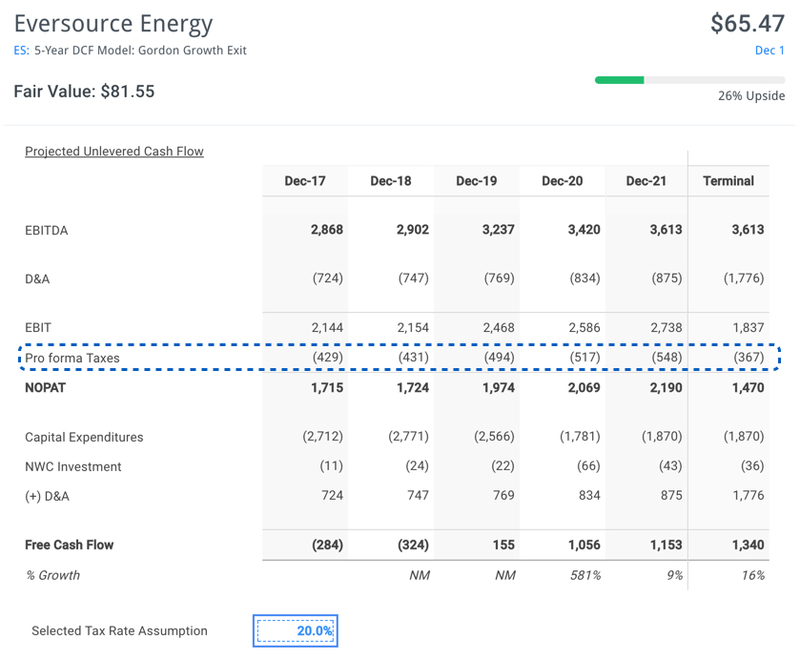 If President Trump's tax reform ultimately fails and the alcohol producer continues to pay a high effective tax rate going forward, the stock would have a fair value of $182.70 based on its future cash flows. 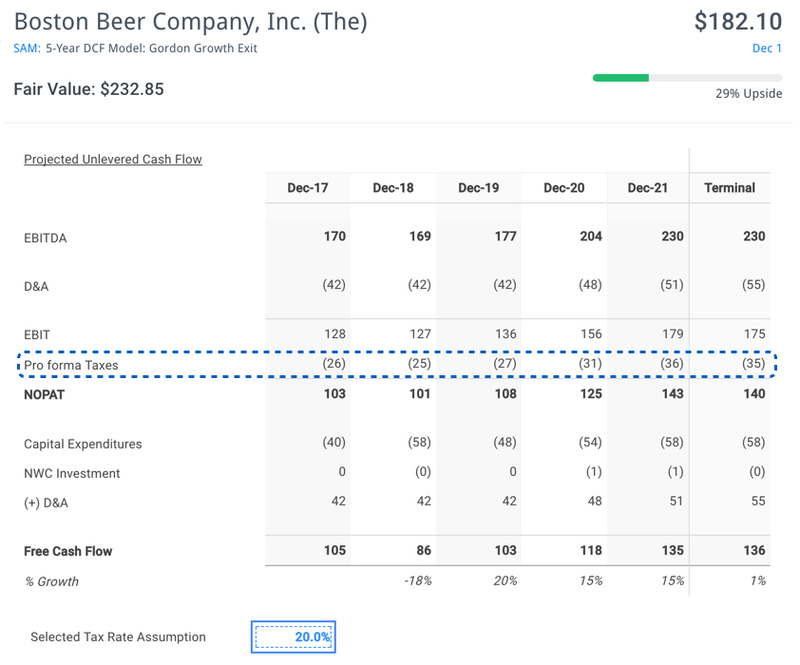 However, when using a lower 20% tax rate, Boston Beer's fair value jumps to $232.85 per share as illustrated below. This is nearly 30% higher than its Friday trading price of $182.10 per share. Eversource Energy (NYSE: ES) engages in the energy delivery business. The company operates in three segments: Electric Distribution, Electric Transmission, and Natural Gas Distribution. Electric distribution represented nearly 75% of the company's total revenues as of fiscal year 2016. The company's effective tax rate has averaged 36% over the last five years. 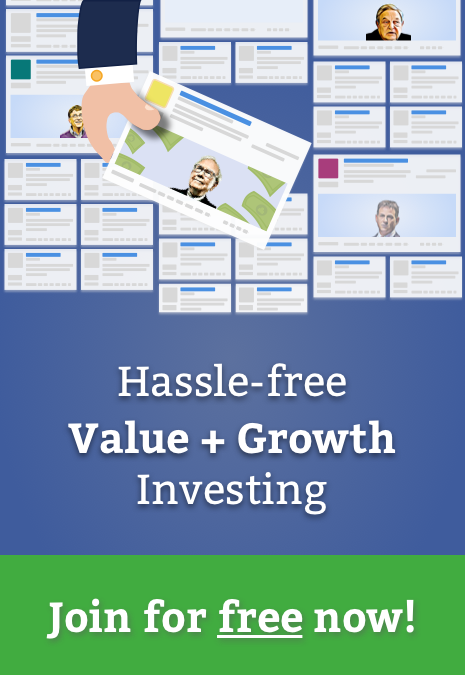 When cut to 20%, the stocks intrinsic value increases to $81.55 per share based on the incremental future cash flows. This is 26% higher than Eversource Energy's current share price. Tractor Supply Company (NasdaqGS: TSCO) operates rural lifestyle retail stores in the United States. The company offers merchandise including livestock, pet, and small animal products necessary for their health, care, growth, and containment. Other offerings include hardware, truck, towing, and tool products. As of January 26, 2017, it operated 1,600 retail stores in 49 states. If the company's effective tax rate of 36.5% were to remain unchanged, the stock appears to be 9% overvalued. However, don't be surprised if shares jump over 20% if the corporate tax rate gets cut to 20% as shown below. Target Corporation (NYSE: TGT) operates as a general merchandise retailer. As of October 19, 2017, the company operated 1,828 stores in the United States. 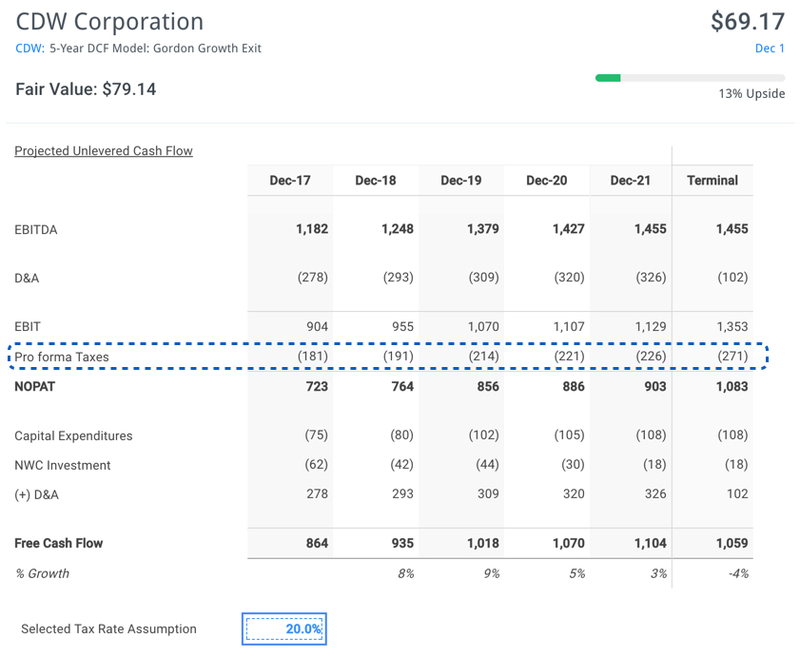 At a 33.4% tax rate, Target has a negative -9% margin of safety. This figure jumps all the way to a positive 17% at the lower 20% tax rate as highlighted below. CDW Corporation (NasdaqGS: CDW) provides information technology solutions to business, government, education, and healthcare organizations in the United States, Canada, and the United Kingdom. Over the past five years, CDW has paid an effective tax rate of 35.9%. 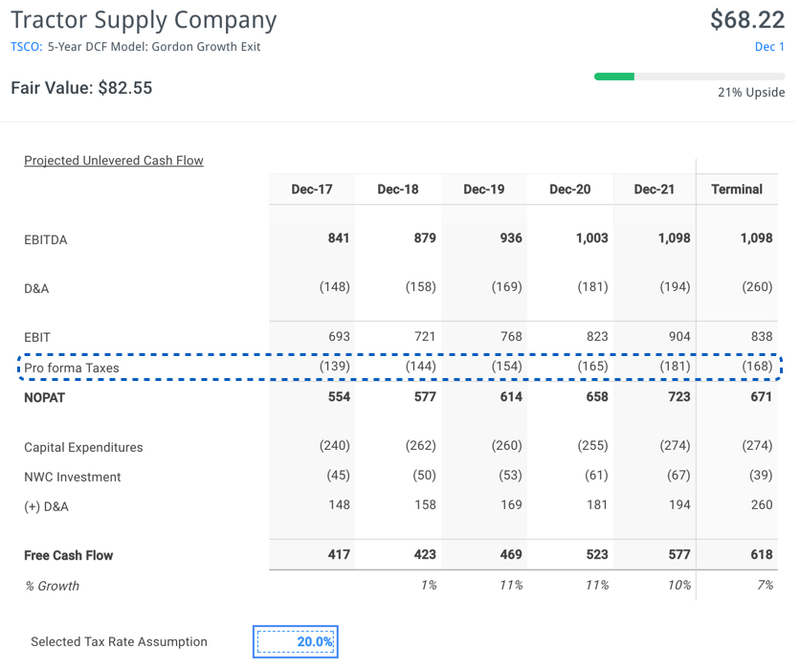 If the President's tax reform fails and the company continues to pay its high effective tax rate going forward, the stock would have a fair value of $59.30 based on its future cash flows. However, when using a lower 20% tax rate, CDW's fair value jumps to $79.14 per share as illustrated below. This is 13% higher than its Friday trading price of $69.17 per share. Gap, Inc. (NYSE: GPS) operates as an apparel retail company worldwide. It provides apparel, accessories, and personal care products for men, women, and children under the Gap, Banana Republic, Old Navy, Athleta, and Intermix brands. As of March 14, 2017, the company operated 3,200 company-operated stores; and 450 franchise stores, as well as e-commerce sites. The company's effective tax rate has averaged 38.5% over the last five years. 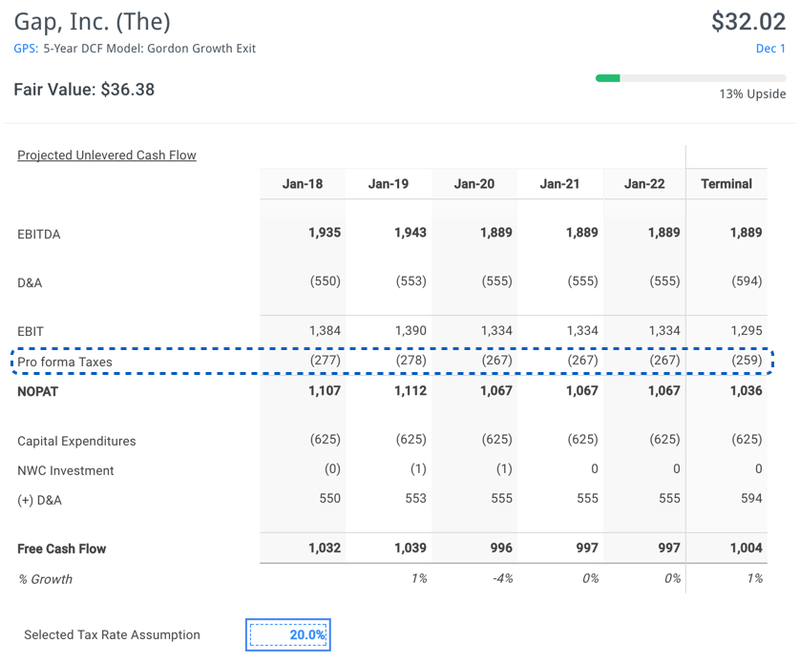 When cut to 20%, the stock's intrinsic value increases to $36.38 from $27.76 per share based on the incremental future cash flows. These high tax payors could all trade higher if and when President Trump follows through on tax reform. Value investors may want to take a closer look at these stocks before Christmas.